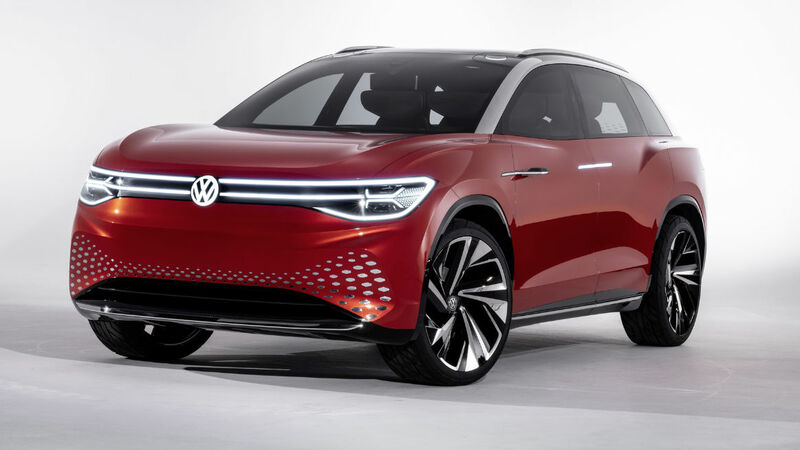 Volkswagen has added a sixth concept, the ID Roomzz, to its growing list of real and potential electric vehicle offerings. That list now has six models, and most are slated for production. VW uses the ID designation for its electric vehicles, the first – simply named the ID – due early next year. The ID Roomzz concept, shown at the Shanghai auto show this week, is a 7-seater that’s bigger inside than the current Touareg. 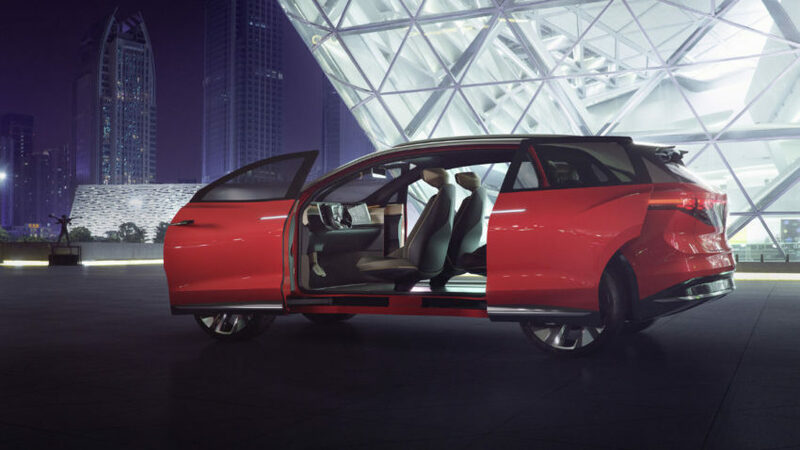 It is set up with a two-motor system, drawing power from a grid-rechargeable, 82-kWh lithium-ion battery pack. The battery is mounted beneath the floor. VW says range on the new European WLTP test cycle is 280 miles, so figure 230-250 miles in the U.S. under the tougher EPA fuel efficiency test. A 101-horsepower motor with 103 pound-feet of torque dives the front wheels and a 201-hp, 228-lb.-ft. motor drives the rears. The driver can select to operate in rear-wheel or all-wheel drive modes. VW said the ID Roomzz can accelerate from zero to 62mpg in 6.6 seconds. Top seed is limited at 112 mph. Features on the concept, many of which won’t make it into production, at least not right away, include “suicide” doors that slide apart from the centerline and eliminate the need for a central B-pillar; side-view cameras rather than mirrors, and Level 4 autonomy capability with a steering wheel that withdraws into the dashboard when not needed. Level 4 autonomy, which is not yet legal in the U.S., incorporates self-driving systems that permit the vehicle to operate without a driver’s input but with some limitations – such as geographical limits on its area of operation. It is the last step before full autonomy that would see vehicles without any driver controls. Other vehicles in VW’s ID lineup include the ID, a small hatchback slated for the European market and scheduled for release next year; the ID Crozz sedan and ID CrozzCoupe sporty sedan; the ID Buzz, a modern twist on the iconic VW bus, and the ID Buggy, an electric version of the dune buggies popularized in Southern California in the 1960s.